If you are someone like me who doesn’t believe in changing your phone every year just to “keep up,” it could be hard to see everyone enjoying the latest features and trendy looks while you are stuck with your old devices. 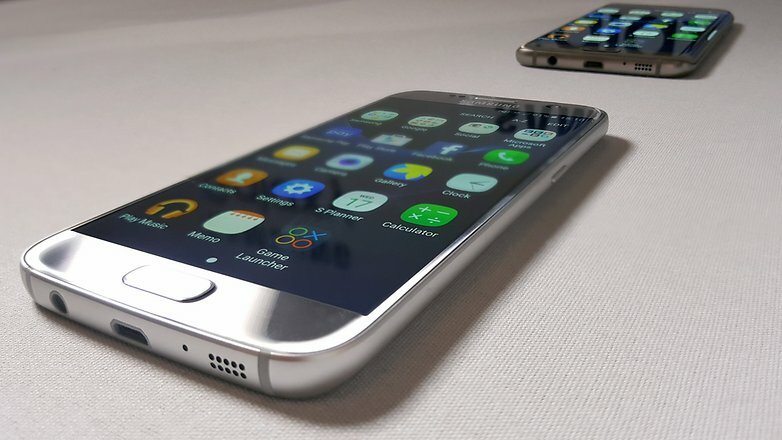 Samsung’s Galaxy S7 and Galaxy S7 edge were two of the best products Samsung has ever released. While many believe Galaxy S8 is even better, there is a huge portion of Samsung fanbase that doesn’t believe if Galaxy S8 warrants an upgrade from Galaxy S7 or S7 edge. But, what about those S8 software features and looks? Well, why not to get a Galaxy S7 ROM that offers the same features? Thanks to Tkkg1994, we now have a new Galaxy S7 ROM based “on the latest and greatest software of the S8+” according to the developer. “I was able to make a full port of the S8 (with almost all libs being S8) and I also made a backport of the latest Mali GPU driver (if you install this rom, you will be one of the first to be have a ported Mali GPU! ),” the developer claims. In for something new and exciting? Here are all the features, download links and steps to update your Galaxy S7 and S7 edge to this S8-based custom firmware. Backup any important data from your Samsung Galaxy S7 G930F as a complete wipe will be required during the flashing process. Samsung Galaxy S7 must be rooted, unlocked and installed with a recovery tool like TWRP (developer preferred). Note: For the complete changelog, bugs, links for your Galaxy S7 model, more details, and support, visit the XDA thread. Required files: download BatmanROM Nougat for Samsung Galaxy S7 G930F (for other variants, go to the above thread) and save it on your computer. Do not extract contents. Connect your Galaxy S7 to your computer using a USB cable and copy the zip file to your phone’s SD card. Disconnect the USB cord and power off your Galaxy S7. Perform wipe data tasks: from recovery menu, select wipe data/factory reset and confirm the process. From the recovery menu, select install zip and locate the BatmanROM custom firmware. Confirm the installation process. Return back to main recovery menu and reboot your Galaxy S7 into the new custom ROM. First boot may take a few minutes. Don’t forget to share your experience with BatmanROM Android Nougat for Galaxy S7. Is it all that it promises to be? The developer certainly thinks so! We’d also love to hear about your favorite Galaxy S7 custom ROMs.